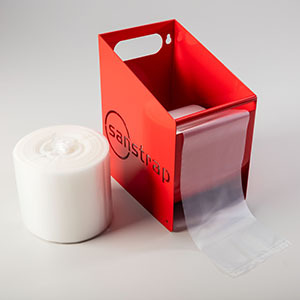 sanstrap® is a pallet banding solution to secure the top layer of a pallet, providing a quick and easy way to stabilize a pallet for inter-plant movement. 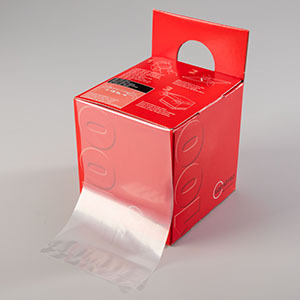 Because of its ease of use, there is a tremendous savings of labor and time when compared to alternative products such as; stretchfilm, tape, rubber bands, and twine. Perforated on a roll and sealed on both ends forming a fixed length, sanstrap holds everything in place and offers a quick gripping solution for pallet loads, stacking, wrapping, and layering the tops of pallets. There is no cling to sanstrap so you can easily move the band up or down securing the pallet at all times. The application of securing the top of a pallet using sanstrap is completed in nine (9) seconds or less, making it a simple but innovative solution for storage and internal transport. 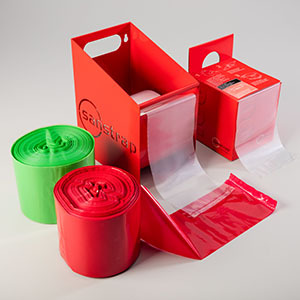 Sanstrap doesn’t damage products and will significantly reduce your stretchwrap waste. Our sanstrap bands are available in multiple colors and widths for enhanced internal warehouse organization and efficiency.